When doubt invades, pros and cons are to be weighed. But it gets particularly hard when one needs to choose the lesser evil or the greater of two goods. Although these set phrases mostly refer to moral ethics and values, we can surely encounter such dilemmas when it comes to adding value to one’s home too. Having beautiful windows and a view is a blessing in itself, however, adding blind shutters of the right material is what can really tilt the scale. The two materials that rarely need introduction regarding blind shutters are basswood, which is very strong and durable, yet very soft timber and polyvinyl chloride, commonly known as PVC – a widely used synthetic polymer. Both of these materials offer premium quality and there are hardly any cons to address. All you need to do is decide which pros suit you the best. When it comes to aesthetic appeal, unless you are in this business, when put side by side, you would even be able to tell these two types apart. The key differences though, are closely connected to their target location and window type. Firstly, you have to consider the size of the window openings. Since PVC is heavier, the rule of thumb is that 760mm is the maximum panel weight allowed. Being lighter, with basswood you can go up to 950mm. Since PVC is limiting regarding size, it’s recommendable to opt for it only if the window area needs to be completely waterproof. When it comes to the number of panels, whatever material you choose, it’s very important not to overcrowd the window. Less is always more, so in order to prevent reducing the aesthetic value of the plantation blind shutters, leave room for the beauty of the window itself to be exposed. It’s also important to mention that PVC sales representatives often use the lack of knowledge to their advantage. 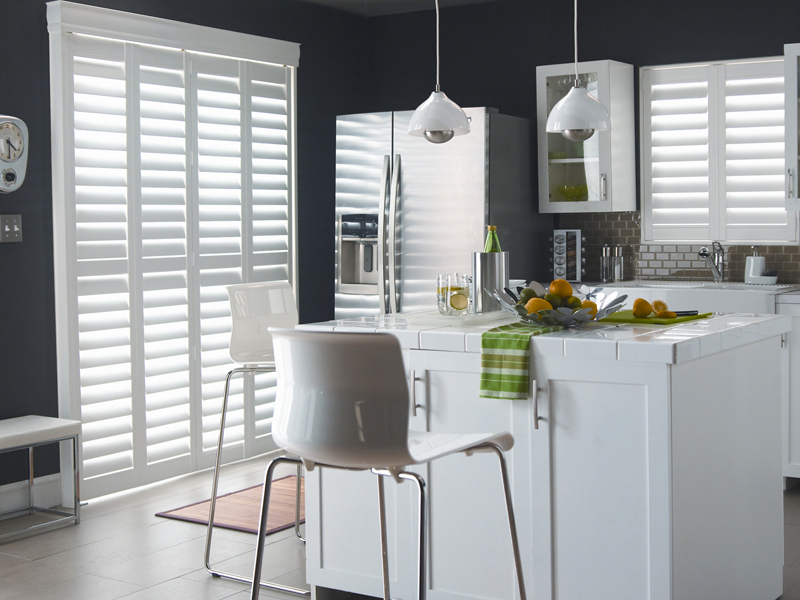 This occurs due to the fact that not everyone knows aluminium cores are a must when manufacturing PVC shutters, so they use the presence of this material to present their shutters are sturdier and more unique than others. Maintenance wise, both wood and PVC shutters are easy to clean. With just an occasional wipe down with a soft, wet cloth, you’ll have them dust free and looking neat at all times. All in all, there isn’t a big difference between these two materials since they are both good. Only size and humidity can stand in your way of choosing PVC, otherwise, both can do.